Every app needs some kind of search. Serving content comes with the need to make it visible and what fits better than a full-text search. Because Futureflix uses MongoDB as its data store, you’ll implement a full-text search on top of it. Starting in version 3.2, MongoDB ships with a sophisticated text search based on text indexes. 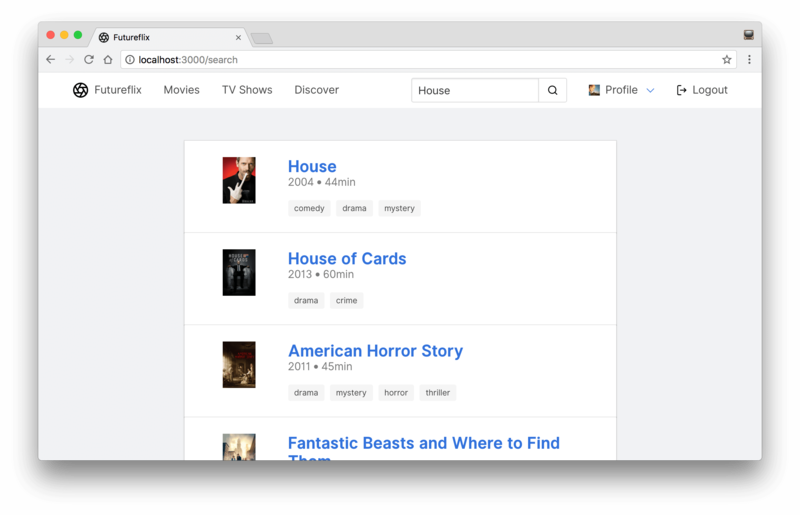 That’s what you’ll build on to implement the search for movies and TV shows!